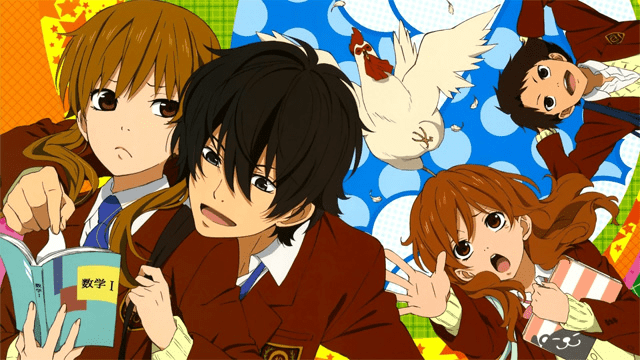 Originally called Tonari no Kaibutsu-kun, My Little Monster is the English translated anime/manga that helped revitalize my passion for anime. As of right now there are thirteen episodes, all of which are available on Netflix currently! Unfortunately the manga is still on-going, with twelve graphic novels available (only five currently in English), while the anime stopped at volume seven. It doesn’t have as bad of an improvised ending as Claymore (it was a nightmare and a serious disappointment), but it does feel as if there should be more to the anime and I am hoping that it gets picked back up in 2015. Written and illustrated by Robico, a manga author who has done quite a few small works though it seems as though My Little Monster is his first break-out novel. The main character, Shizuku, is a character that absolutely plans on having a career driven future. To accomplish this she studies constantly while through out high school, pushing out any thoughts of friends or even caring for other people. Her routine is upset by a boy she meets named Haru. 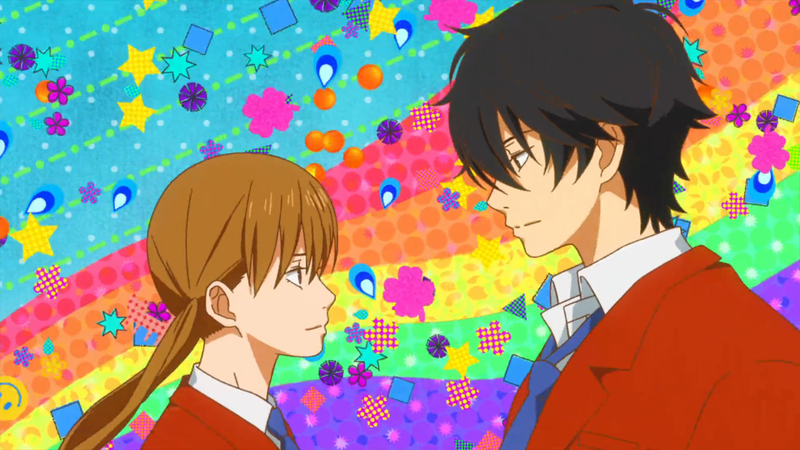 Haru is Shizuku’s polar opposite that refuses to leave her side. He has a tendency to get into fights and be overly energetic, which constantly interrupts Shizuku’s studies. The story is about the two of them trying to deal with the indecisiveness and emotions that come with being a teenager, as well all of the budding feelings of a first romance. While some teenage based anime focuses on a completely ridiculous principle and an outrageous story, My Little Monster is fairly realistic. The story was genuinely based around the emotions found in high school aged teens – indecisiveness, constant learning and changing of their own emotions, first love, and just trying to figure out life. The main character, Shizuku, had a well fleshed out background story, though towards the end it felt a little rushed. Haru’s story was not as well explained and, even as the anime series ended, I wanted to know what was going on with him; the other side characters definitely felt like they had more going on in their lives than what was being brought to the audience. 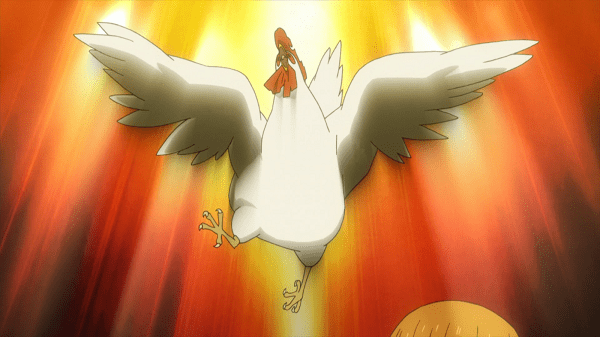 Speaking of side characters, I do have to give some credit to Nagoya, the token rooster in this series. He brings fun comedic value into the series and is honestly the most unrealistic aspect of the show. I would classify this as a definite teen-based romantic comedy – think Shojo type manga/anime. It’s funny, left me rooting for the main characters, and didn’t provide extensive fan servicing. There were some occasional sexual jokes, but there was never specifically a time where the show tried to overtly sexualize the characters (sorry if that’s what you were looking for!). I really liked how I found myself enjoying most of the characters, but also despising any rivals that happened to rear there heads through out the series. They weren’t particularly distasteful, they just were not allowed to interrupt my favorite characters. To me, this shows how well the main characters were introduced and developed in front of the audience. The biggest complaint I could have with this anime is that, with it being cut short, it cuts down on the amount the audience learns about the characters and really feels as if there should be more there. The ending makes me want to start picking up the manga just to learn everything that got cut out of the anime series.